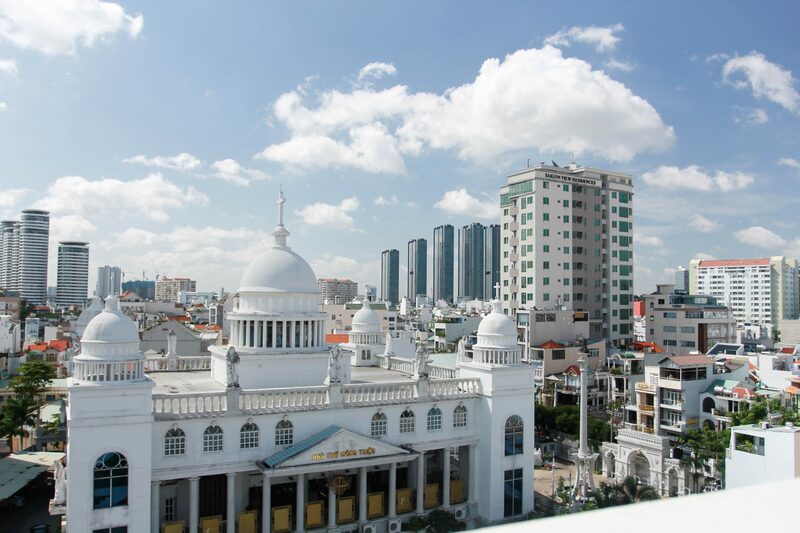 When it comes to finding accommodation in Ho Chi Minh city, you can easily get lost in a bewildering maze of resorts, hotels, homestays, and hostels. It is very likely for travelers to get a throbbing headache from pondering how to enjoy their stay in the “la Perle de l’Extrême-Orient” of Vietnam to the fullest without draining their wallets. With a detailed and insightful guide to stays in Ho Chi Minh city, we are pleased to be the matchmaker who will help you find your destiny with the best accomodation. First of all, let’s talk about Boutique hotels. For artsy souls who are always seeking aesthetic breakthroughs in ambience, design, and a cozy atmosphere, voila, Boutique hotels are the best option for you. 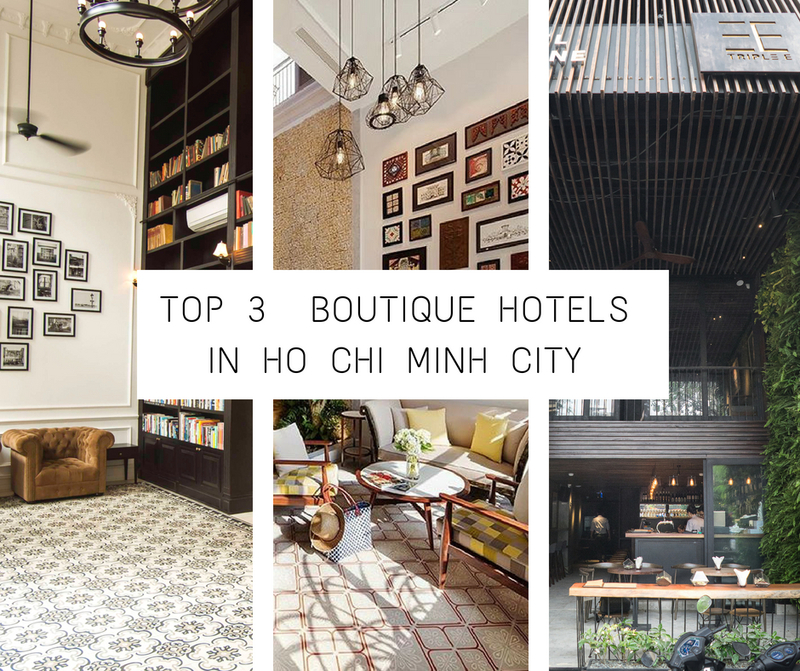 Top 3 following boutique hotels in Ho Chi Minh city we are about to introduce to you are small and low-key, yet charming and definitely worth your stay. If you adore European architecture with its elegant small details and French provencal-styled interior design, Maison de Camille Boutique hotel should be placed first in your priority list. 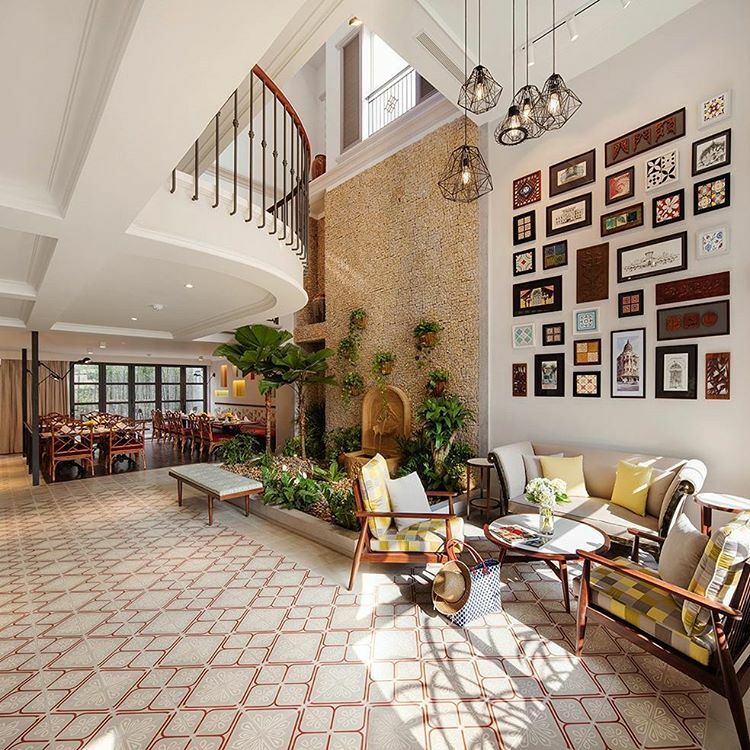 It’s quite a new player in the game compared to other boutique hotels in Saigon, but Maison de Camille will not fail to amaze you with its beautiful infrastructure and excellent service. The founders, Mr. Lam Nguyen and Van Ho, with a burning passion for French culture, opened the hotel in the December of 2017. The name, “Camille”, is reminiscent of a youthful, feminine, and hospitable Parisienne who will make your stay most enjoyable and like home. Fascinatingly, Camille is also the name of a talented French artist who put her heart and soul into creating a brilliant work of art for the hotel’s interior. What makes it one of a kind? Well, if you do not have the money to splurge on staying in the extravagant JW Marriott Phu Quoc, choose Maison de Camille instead for its equivalently exquisite ambience and splendid service. 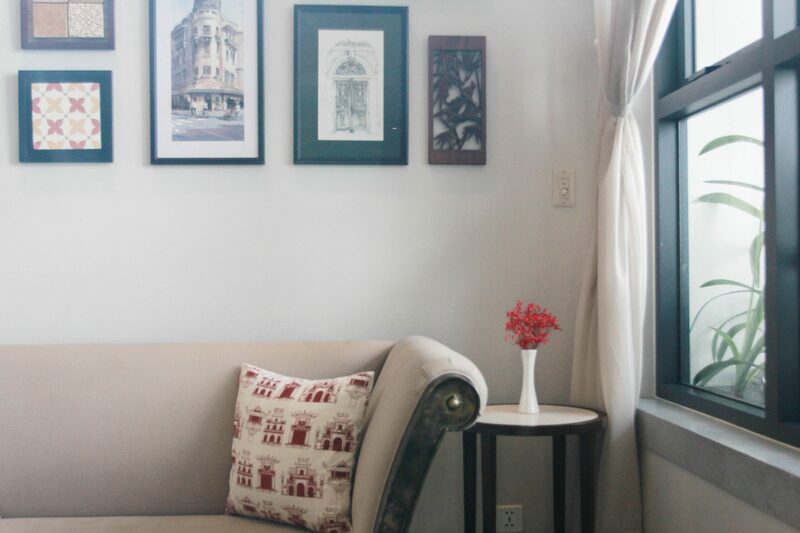 Once you step into the hotel, Maison de Camille will strike you in awe with an artistic assortment of vintage photos on the wall of the living room. Going a little bit further inside, you will be presented with a small cafe where you can enjoy your “breakfast at Tiffany’s” like Audrey Hepburn once did. A unique feature of Maison de Camille is its location. 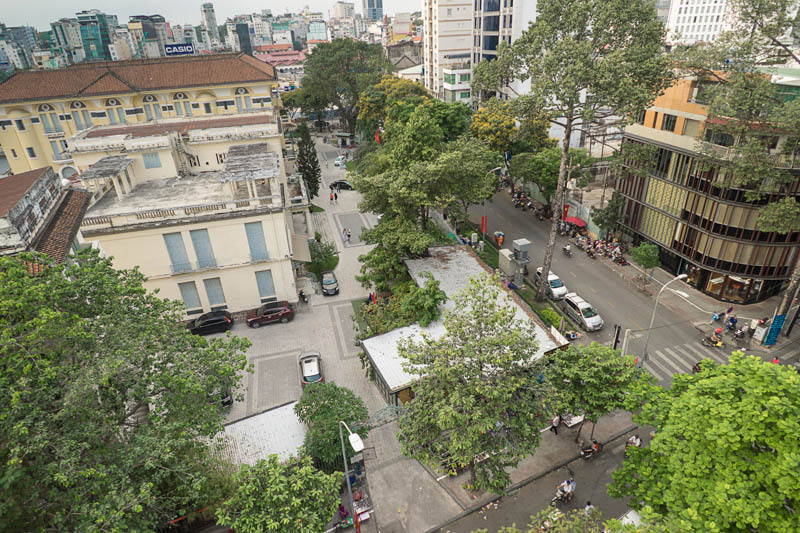 Not only staying away from the hustle and bustle of the city center, Maison de Camille is next to a church, endowing it with a romantic and tranquil view for which you cannot find a substitute anywhere else in Saigon. What is better than a dinner date with your significant other with a view towards the Christian angels? Maison de Camille offers guests 2 suites and 17 rooms. The interior in each room is carefully designed with exclusively-chosen garments and furniture. Colors and patterns are bright and vivid, making the whole surrounding a dazzling pleasure for guests to relish. Interestingly, every single corner can enable you to get a very photogenic post for your instagram feed. With a focus on individual experience, Maison de Camille makes an enormous effort to provide each guest with seamless service. 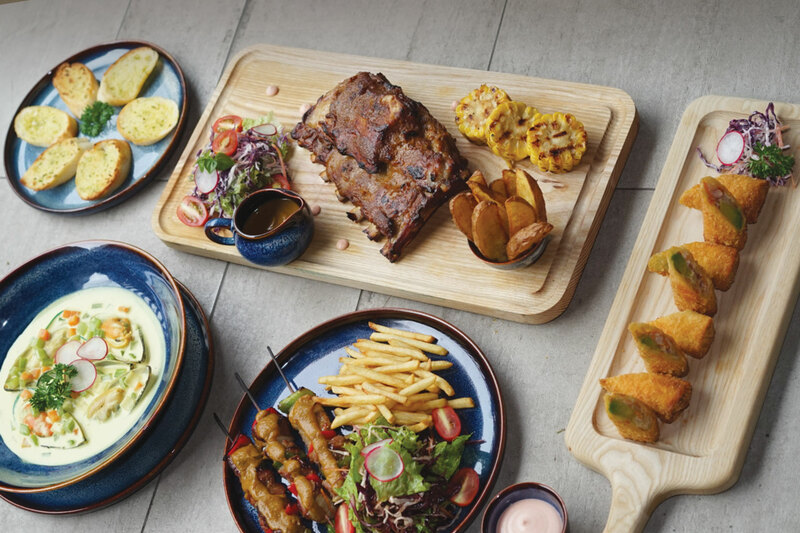 Visitors will be served with an a-la-carte fusion cuisine, including both Vietnamese and Western dishes that will elevate your palate to the next level. You can also enjoy a French aristocrat’s breakfast in bed if you make a request to the receptionist. 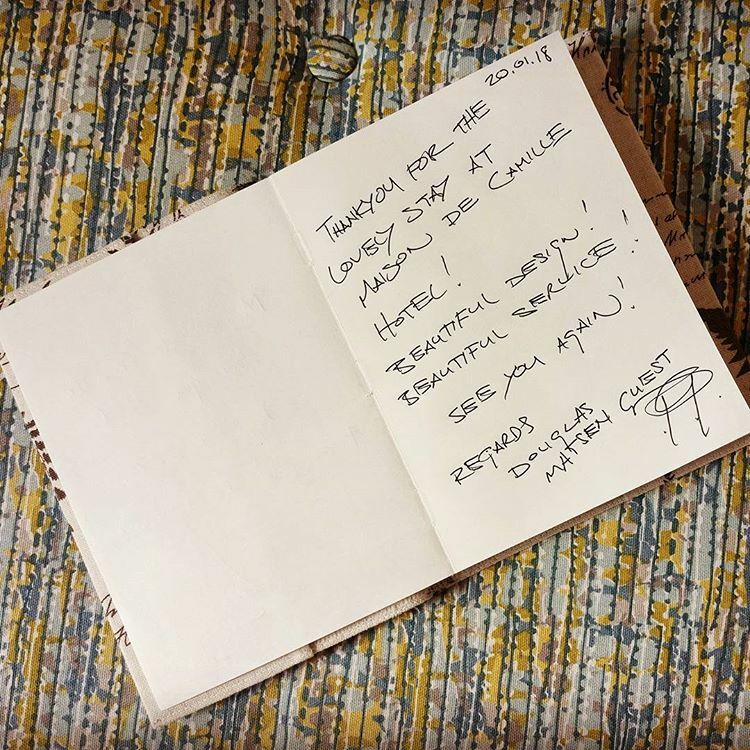 Thank-you note from customers for a pleasant stay in Maison de Camille hotel. Maybe, one summer night will not be enough for you to fully discover and embrace the beauty of this little gem. There will be no surprise if you find yourself returning to Maison de Camille years after your first stay. If you admire the library that Beast gives Belle as a gift of love and compassion in “Beauty and the Beast“, why don’t you experience a stay in The Alcove Library Hotel? Observing lots of dissatisfied visitors leaving Ho Chi Minh city solely because of poor service and infrastructure of hotels where they chose as their accommodation, with a strong determination to change the status quo, the founders invested their passion and skills into constructing The Alcove Library Hotel. Here you can not only indulge yourself into flawless services, but also enjoy a fairytale-like stay. The name says it all. There is indeed a library in Alcove, an extremely aesthetic one. As the bookshelves are designed well enough to avoid bulkiness, the entire setting of the library exudes a bright and modern feel towards visitors. The bookshelves, with a minimalist black concept, are stuffed with thousands of books, ranging from architecture to poetry. There have even been occasions when the authors of the books visited and stayed in The Alcove by chance; so if fate permits, you might have a chance of meeting your favorite author here. 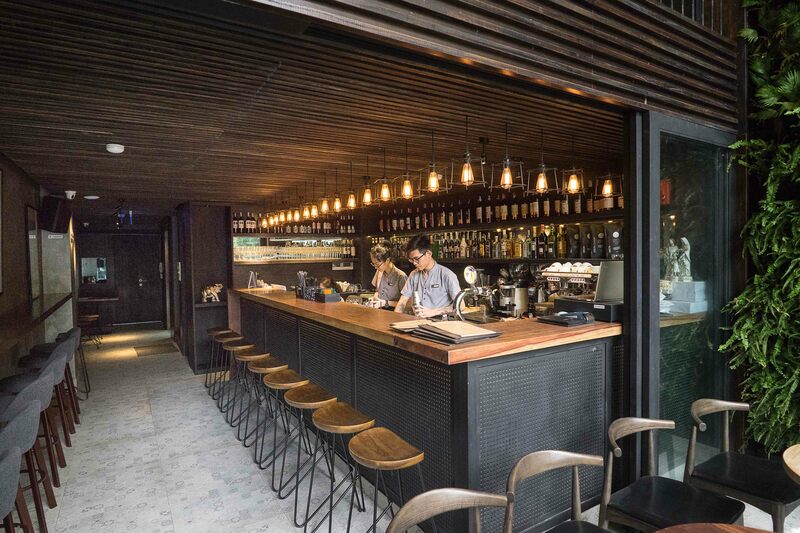 Bookmark restaurant is quite well-known among the locals for its aesthetic ambience and great fusion cuisine. 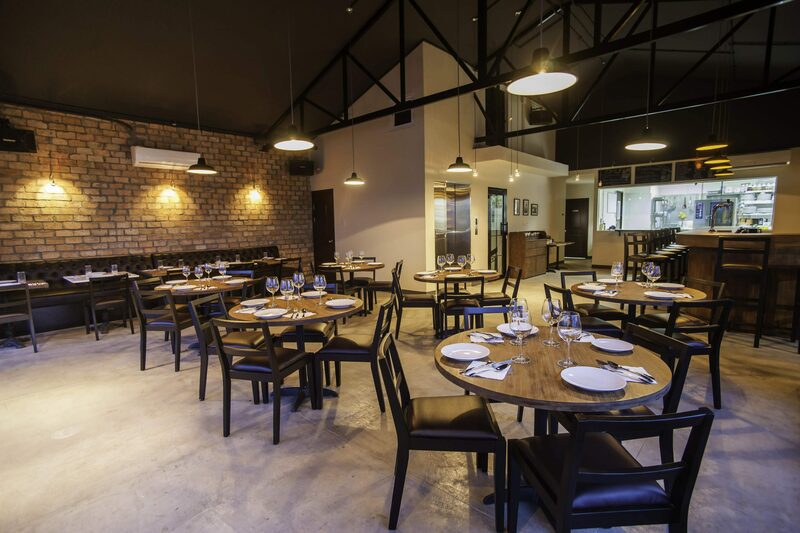 This place can cater for both family gathering or intimate dinner date. Intriguingly, the library is just a pleasing starter which gives you the irresistible urge to explore all the hidden gems lurking in every single corner of the hotel. 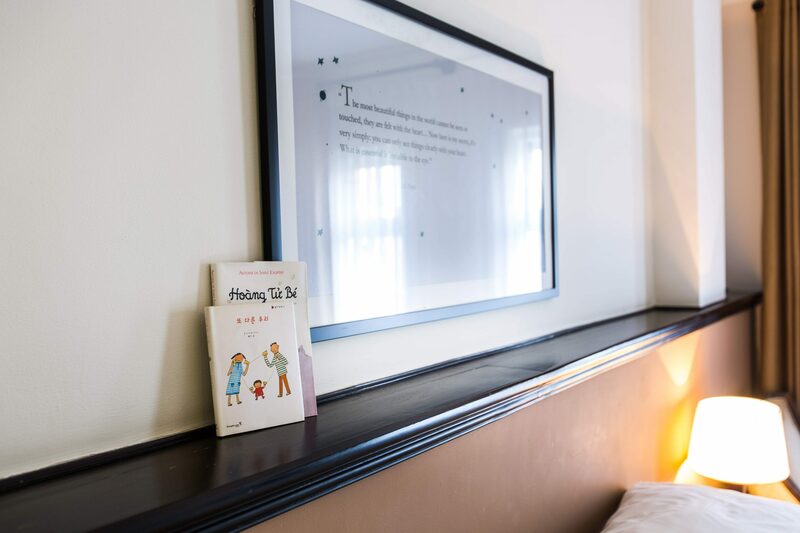 Each room welcomes you with an exclusively-handpicked fairy tale, which serves as good therapy for minds exhausted by the trauma-drama wheel of reality. Let your hair down a bit and indulge into the magical tales, won’t you? Diversity of services is a plus for The Alcove Library Hotel. The good news for love birds is that the library setting can be rented for a wedding photoshoots. 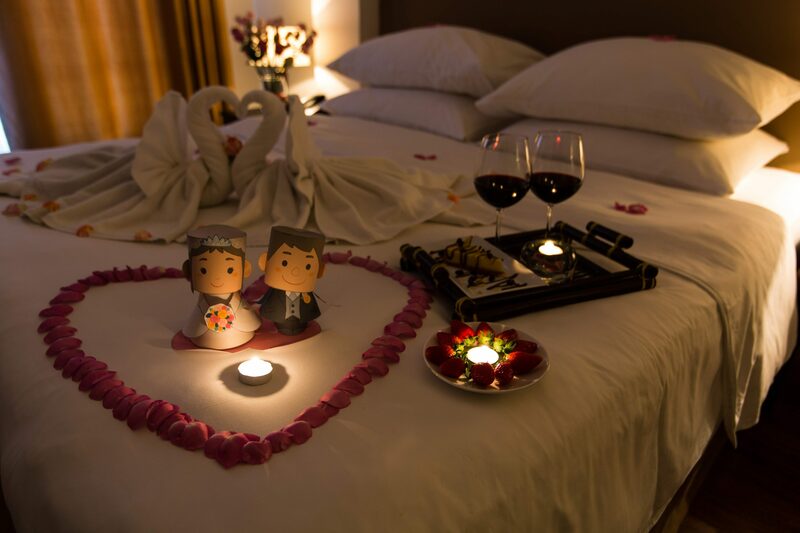 There are also special deals for birthdays and honeymoons such as discounts, gifts, and special room decorations. In addition, the hotel also caters to other customer needs such as local tours and airport transfer. 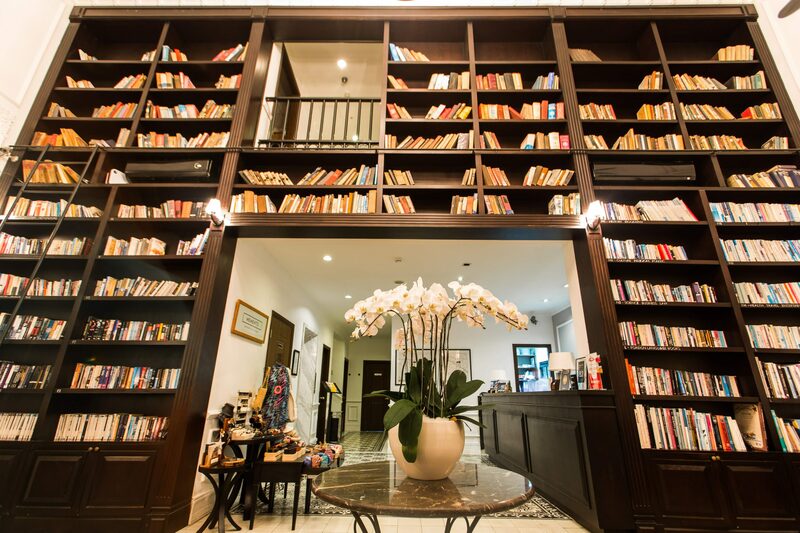 If you are about to spend your honeymoon in Saigon, why don’t you choose the Alcove library hotel for your romantic vacation? Fairy tales, books, and marvellous architecture sound good enough for a dream escape, right? 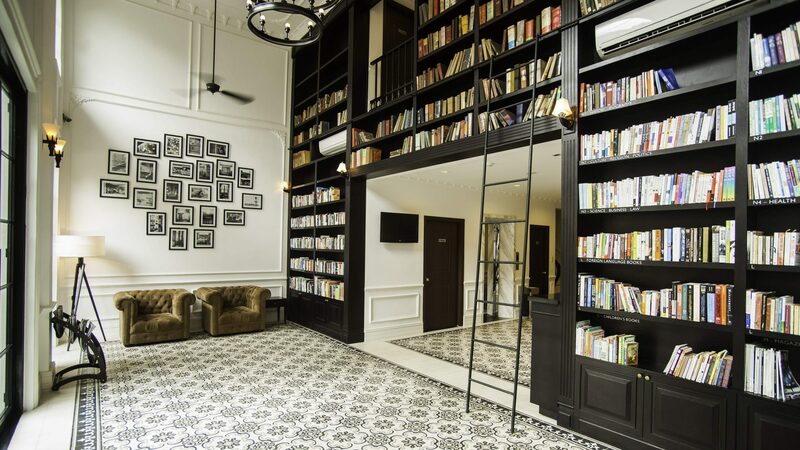 Why don’t you let your heart and mind get stolen by the charm of The Alcove Library Hotel during your next trip to Ho Chi Minh city? The Triple E boutique hotel stands for “Elegant, Efficiency and Economic”. First, let’s take hats off to the founders of Triple E – Hotel & Cuisine for choosing a perfect location to construct the hotel. 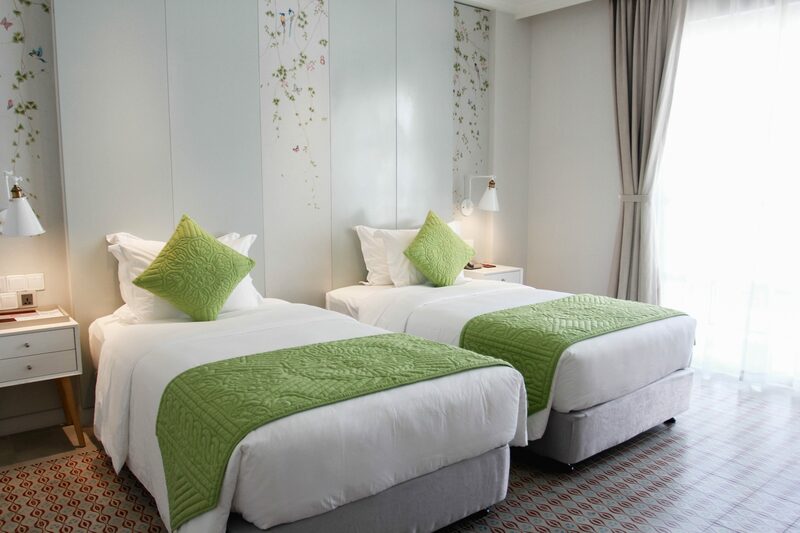 Although Triple E – Hotel & Cuisine is situated near the heart of Saigon, its guests do not have to bear with all the hectic traffic and city noise. Indeed, Triple E is definitely a location-wise hotel with Fine Art Museum right in front of it, endowing it with an elegant ambience. The Triple E – Hotel & Cuisine stands for “Elegant, Efficiency and Economic”, emphasizing that guests will get a satisfying experience in return for the relatively economical amount they have to pay. Admittedly, Triple E – Hotel & Cuisine is a smart solution to the accommodation puzzle for first-time travelers who intend to spend frugally for a convenient stay. The hotel is designed with a concept of contemporary black-and-white minimalism. 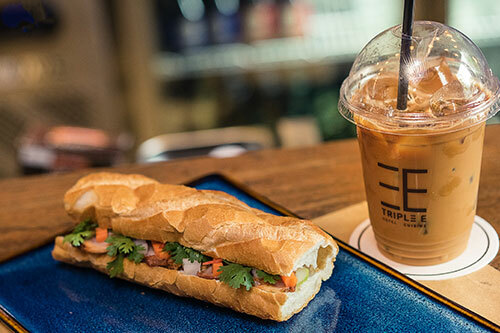 Triple E – Hotel & Cuisine welcomes you with a small cafe-bar decorated with vintage photos of old Saigon. Coming upstairs, you can have a self-date, lazing around all day enjoying your soda in the beautiful surrounding. As the founders have a passionate aspiration to introduce the best of Saigon’s culture to visitors from all parts of the world, talking to the staffs, you stand a good chance of listening to all the untold myths and stories only the locals know. Each room is well-furnished with woody furniture, evincing a cozy cottage-like vibe. 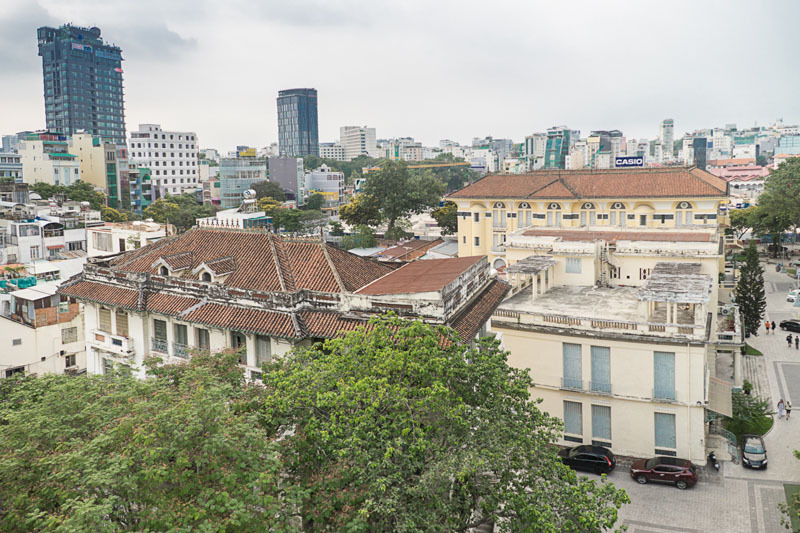 From the fine-art-balcony rooms of the hotel, you can overlook the Fine Art Museum while having a sip of Vietnamese coffee and immersing yourself in a sense of romantic nostalgia. In addition to accommodation, Triple E – Hotel & Cuisine also has a small cafe and restaurant, where you can enjoy your a-la-carte meals. Despite being small in size, the restaurant offers the best fusion cuisines with splendid service and a pleasant green atmosphere in the middle of town. You can surely have the best of both worlds here with a diverse menu, ranging from Vietnamese traditional cuisine to Western dishes. There are a wide variety of budget-friendly offers for those who want to experience the finest cuisine in town at an affordable price. When night falls, a mug of craft beer will help you to dispel all of your anxiety; and guess what, they have a buy-one-get-one deal for beer lovers. The staff is very hospitable and friendly; so if you are on a trip to escape from heartbreak, they will always be ready to lend a shoulder for you to pour your heart out. 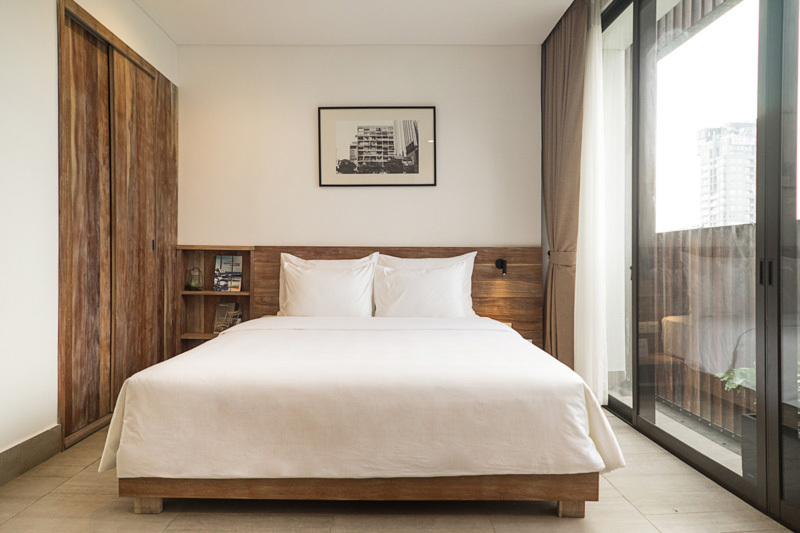 So, if you are fond of minimalism and are looking for a stay that consists of both convenience and uniqueness, Triple E is undoubtedly a good option for you.